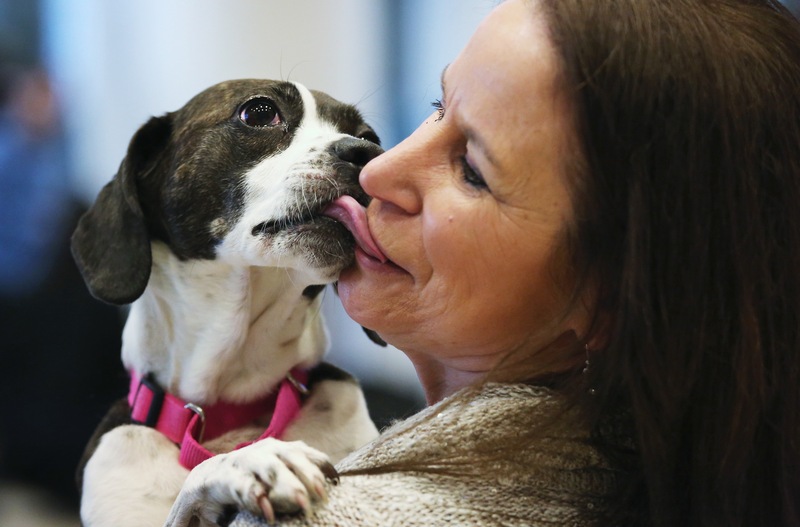 Hailey, a Boston Terrier Beagle, kisses her owner Karen Profenna ahead of the 138th Westminster Kennel Club Dog Show at Madison Square Garden on February 6, 2014. The Mixed Breed category brings non-purebred dogs to the event for the first time since the earliest days of the show. This is the first year for the Masters Agility Championship at Westminster, which will be held this Saturday at Pier 94 in New York, ahead of the big event – the annual Westminster Dog Show. By John Moore/Getty Images.